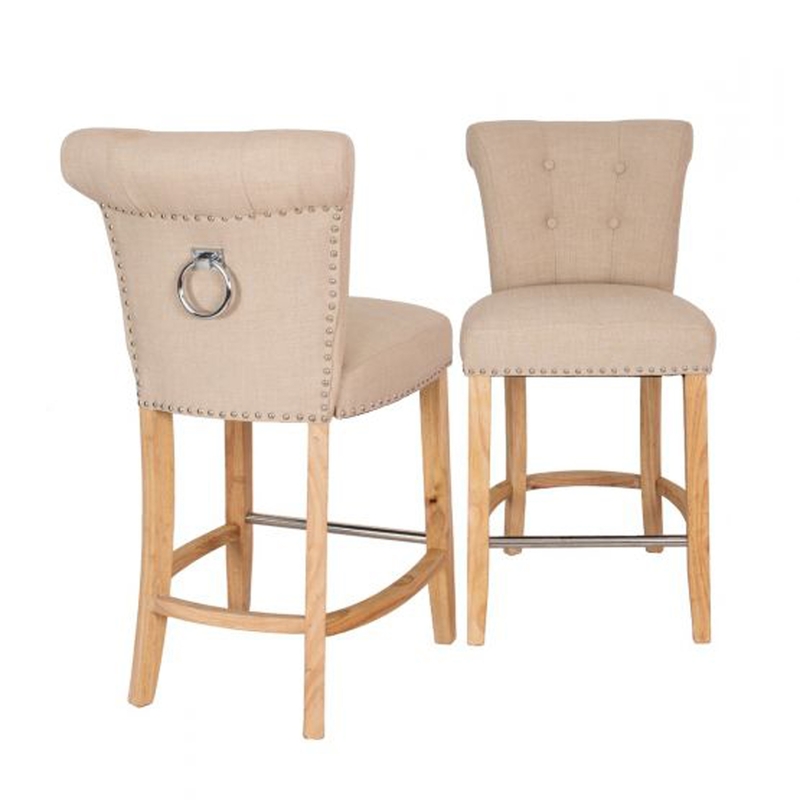 A stunning bar stool with a gorgeous stud detailing and a buttoned back. This stylish and practical design will make a perfect addition to your bar / home. These bar stools are finished with a linen material to give you the best deserved comfort, and to provide great seating options for your dining room today.